Student filed an amended due process hearing request (complaint) with the Office of Administrative Hearings, State of California (OAH) on July 19, 2013. The amended complaint named the Oakland Unified School District (the District) as the respondent. Administrative Law Judge Charles Marson heard this matter in Oakland, California, on September 12, 16 and 17, 2013. Natashe Washington and Hee Kim, Attorneys at Law, represented Student. Student’s great-grandmother (Grandmother) attended the entire hearing. 1 Student did not attend. 1 Student’s great-grandmother holds his educational rights. She refers to herself as Student’s grandmother, as do the parties, all the witnesses and all the documents in evidence. For clarity, she is described as Grandmother here. Lenore Silverman, Attorney at Law, represented the District. John Rusk, the District’s compliance coordinator for its Programs for Exceptional Children, attended most of the hearing, and in his absence Kara Oettinger, executive director of the programs, attended the hearing. On the last day of the hearing, September 17, 2013, the parties were granted a continuance to file written closing arguments by the close of business on October 8, 2013. Upon timely receipt of the written closing arguments, the record was closed and the matter was submitted. Issue 1: From May 2011 through February 2012, did the District deny Student a free appropriate public education (FAPE) by not finding him eligible for special education services? Issue 2: Between February 2012 and August 2012, did the District deny Student a FAPE by failing to assess him in all areas of suspected disability, which prevented Grandmother from meaningfully participating in Student’s educational decision-making process and/or denied Student an educational benefit? 2 The District’s closing brief states the issues in the somewhat more detailed manner contained in Student’s First Amended Complaint rather than the more general terms of the Prehearing Conference Order. Student has moved to strike that portion of the District’s brief as not conforming to the Prehearing Conference Order. The motion is denied, both because the statement of the issues in this Decision follows the Prehearing Conference Order, as Student desires, and because, in light of the evidence produced at hearing, the varying formulations of the issues would make no difference to the outcome here. In late 2009, while he was in the third grade, Student was given psychoeducational and academic assessments and found not eligible for special education. Student contends this determination was incorrect and that he should have been found eligible at all times during the two-year period before this matter was filed. Student contends he has a specific learning disorder (SLD), specifically an auditory processing disorder (APD), and the District should have known this from a combination of his grades, which in some areas were below his potential and below grade level, and the reports of his teachers. He argues that when the District gave him a speech and language assessment in February 2012, and again did not find a disability, it should also have given him another psychoeducational assessment, and should have found he was eligible because of an SLD. He contends that the presence of that disorder was confirmed in December 2012 when the Berkeley Unified School District (BUSD) found him eligible for special education because of an SLD. The District contends that it correctly determined in 2009 that Student did not have a disorder of any kind, and that his subsequent grades and teacher reports did not change that determination or require its reconsideration. It contends that Student was adequately assessed in all areas of suspected disability by the combination of the 2009 assessments and the 2012 speech and language assessment, and that he did not have an SLD or any other disorder that would make him eligible for special education. It contends that while the BUSD individualized education program (IEP) team decided he had an SLD, the data in this record from BUSD’s decisional process show that he does not have an SLD. This Decision determines that Student was assessed in all areas of suspected disability by the combination of the three assessments the District administered. It finds that the District was correct in determining Student did not have an SLD or other disability and was not eligible for special education. It finds that the documents in the record that were generated by the BUSD decisional process do not, by themselves and without further explanation or support, substantially undermine the District’s findings. 1. Student is a 12-year-old boy who resides with Grandmother within the geographical boundaries of the District. He is by all accounts a charming, popular, social student who is well-behaved, works hard, communicates well, and displays leadership skills. His reading and related skills, such as spelling and writing, are below grade level and he has difficulty remembering what he has learned. The District has twice decided that he is not eligible for special education and related services. 2. In fall 2009, when Student was in the third grade at Civicorps Elementary School (Civicorps), a charter school chartered by the District, he was given a psychoeducational assessment and an academic assessment to determine whether he was eligible for special education. At an IEP team meeting on December 14, 2009, the team decided he was not eligible. Grandmother disagreed. 3. In February 2012, when Student was in the fifth grade at Civicorps, the District gave Student a speech and language assessment, and at an IEP team meeting on April 3, 2012, again decided he was not eligible for special education. Again, Grandmother disagreed. 4. Civicorps accepted students in kindergarten through fifth grade. It closed on or about June 30, 2012. For middle school Grandmother enrolled Student in Realm Charter School (Realm), which is operated by BUSD. While Student was in Realm, it was BUSD’s responsibility to determine whether he was eligible for special education and, if so, to provide it at Realm. 3 Official notice is taken of the pleadings and papers on file in Student v. Berkeley Unified School Dist. (2013) Cal.Offc.Admin.Hrgs. Case No. 2013070087. 4 Student’s original complaint was filed on May 15, 2013. The two-year statute of limitations bars relief from The District’s actions before May 15, 2011. 5 Student’s First Amended Complaint also asserted that the District failed to assess for a visual motor integration deficit. However, Student introduced no evidence in support of that claim at hearing and does not pursue it in his closing brief, so it is considered abandoned here. 6 As Ms. Lau did not testify, the record does not contain her specific credentials as a school psychologist. 5. In December 2012, while Student was in the sixth grade at Realm, BUSD found Student eligible for special education in the category of SLD and provided services to him pursuant to an IEP. Later in the school year Grandmother withdrew Student from Realm and unilaterally placed him in Rascob Day School (Rascob), a private school in Oakland for children with learning disabilities. Grandmother then filed requests for due process hearings against both the District and BUSD. The action against BUSD was settled.3 Student is at present enrolled at Rascob at Grandmother’s expense. 6. Student argues that since May 2011 he has had an SLD;4 that the District should have known of it from his poor grades and teacher reports; that the District should have conducted an additional psychoeducational assessment between February and August 2012; and that the District should have found him eligible for special education at all times from May 2011 until the end of his fifth grade year at Civicorps.5 Resolution of those contentions requires examination of the information available to the District by February 2012. 7. In November 2009, the District school psychologist Annie Lau conducted a psychoeducational assessment of Student to determine whether he was eligible for special education.6 She examined Student’s records, conducted observations of him, and interviewed his third grade teacher, Michael Bartone. 8. Ms. Lau administered four standardized tests to Student. On the Differential Ability Scales – Second Edition (DAS-2), Student’s scores showed average nonverbal reasoning and spatial abilities and low average verbal abilities. Student’s overall score for cognitive functioning (General Cognitive Ability, or GCA) was 91, close to the low end of the average ability range for students his age. 9. To test Student’s auditory and visual memory and processing skills, Ms. Lau administered the Wide Range Assessment of Memory and Learning – Second Edition (WRAML-2); the Test of Visual Perceptual Skills – Third Edition; and selected subtests from the DAS-2. On these measures Student displayed average working memory ability but low average phonological processing, which affects a student’s ability to decode words, read fluently, and spell phonetically. His speed of processing, on the other hand, was in the high average range. On the Bender-Gestalt, a test of sensory motor skills, Student scored in the high average range. 10. Ms. Lau concluded that Student was “not demonstrating any processing deficits which would be suggestive of a specific learning disability.” She made several recommendations to improve his reading. Student makes no specific criticism of Ms. Lau’s assessment. 11. In December 2009, resource specialist, Eric Miller, assessed Student’s academic performance.7 His report presented results from testing done the previous spring by an earlier resource teacher at Civicorps, including the Woodcock-Johnson Tests of Achievement – Third Edition (WJ-III) and the Wide Range Achievement Test – Third Edition (WRAT-3). Student’s achievement scores were mostly low: on the WJ-III he was in the third percentile in reading comprehension, the fifth in writing samples, and the third in spelling. The WRAT-3 produced similar scores. Student’s achievement in math was somewhat higher. 7 Mr. Miller received a bachelor’s degree from California State University at Chico in 1976 and his RSP teaching credential there in 1977. In 1990 he obtained a master’s degree from San Francisco State University in special education with an emphasis on the learning handicapped, and was re-certified as a resource specialist in 1991. He has worked as a resource specialist for the District since 1987. 12. Mr. Miller provides individual assistance both to students with IEPs and students without them. Several weeks before Student’s December 2009 IEP team meeting, Mr. Miller decided that Student needed additional support. He began to meet with Student individually or in small groups, mostly out of class, twice a week when Student attended, to provide remedial instruction, especially with reading and the completion of class assignments and homework. He noticed from that experience that Student had trouble with phonetic analysis of certain types of words and had poor fluency (about 25 to 30 words per minute). He reported that Student had trouble staying on task, often lost his place and added or skipped words, and sometimes got frustrated and refused to continue. Although Mr. Miller also made several recommendations for improving Student’s reading, he did not address whether Student had a disability. Student makes no specific criticism of Mr. Miller’s assessment. 13. At an IEP team meeting on December 14, 2009, Ms. Lau and Mr. Miller presented the results of their assessments and expressed the view that Student did not have a disability that would make him eligible for special education. Mr. Bartone, Student’s teacher, told the team that he had seen some improvement in language arts since Student had begun working with Mr. Miller. Mr. Miller added that Student displayed some “attentional problems” that contributed to his academic problems. The team found Student not eligible for special education. 14. The December 2009 IEP team recommended that Mr. Miller’s support of Student continue and Mr. Miller provided that support for the rest of the school year. Because of his caseload he was unable to provide that support at the beginning of Student’s fourth and fifth grade years, but in both those years he resumed his support of Student after the winter holidays and for the rest of those school years. 15. In third grade, Student was graded on a five-point scale in which one was the lowest grade and five the highest. Student received a “2” grade for nearly all aspects of English language and writing arts in the fall trimester but a “3” grade in most of those aspects in the winter and spring. He received a mix of “2” and “3” grades in most math categories in the fall, but those grades typically rose to “3” and sometimes to “4” in the winter and spring. Mr. Bartone concluded that, in the fall, Student had worked hard and that there was a “marked difference” in his writing. For the winter trimester, Mr. Bartone concluded that Student “continues to show progress academically, especially in his reading and writing.” For the spring, Mr. Bartone found that Student made “amazing progress” and that “he has grown exponentially in each subject. I am so proud of him.” The report card twice contains the phrase: “Keep up the awesome work!” Mr. Bartone did not testify. 8 Dr. Braganza has a doctorate in educational leadership, a master’s degree in teaching in urban schools, and a bachelor’s degree in elementary education. She has clear multiple subject and administrative services credentials and a lifetime teaching credential in Louisiana. She is at present an educational consultant. 9 In several language arts and math categories the report card is incomplete; one, two, and sometimes three trimesters are ungraded in those categories. 10 Ms. Rikkers has a bachelor’s degree in art from Fort Lewis College and a master’s in curriculum and instruction from Denver University, and is studying for an advanced degree in education. She has multiple subject teaching credentials in California and Colorado. For six months in 2012 she was the acting dean of students at North Oakland Community Charter School. She taught second through fifth grades at Civicorps from 2008 until December 2011, and from 2002 to 2008 taught the same grades at various schools in California and Colorado. She is now an adjunct professor and supervisor at California State University, East Bay. 11 Mr. Khalifah has a bachelor’s degree in urban studies from San Francisco State University, a master’s degree in teaching from the University of San Francisco, and a preliminary administrative services credential. He taught second through fifth grades and held various administrative positions at Civicorps (formerly East Bay Conservation Corps Charter School) from 2004 until 2012. He is now a sixth and seventh grade teacher at the 100 Black Men of the Bay Area Community School in Oakland. 12 Ms. Moore is not related by blood to Student but functions as his aunt and advocate. She helps Grandmother with his educational programs and allows Student to stay at her home frequently. She, Grandmother, and school staff all refer to her as Student’s “Aunt” and that designation is used here. 13 Mr. Rusk was from 2004 to 2008 the high school coordinator of the District’s Programs for Exceptional Children, and since 2008 has been its compliance coordinator. He received a bachelor’s degree in American history from the University of California at Davis in 1988, a master’s in special education from San Francisco State University in 1997, and a master’s in educational administration from the University of California at Berkeley in 2005. He has California single subject, learning handicapped, and administrative services credentials, and a resource specialist authorization. He was for 13 years a resource teacher and for some years the special education department chair at Phillip and Sala Burton Academic High School in the San Francisco Unified School District. He conducts monthly training in special education compliance for faculty and staff throughout the District, including charter school staff. 14 Dr. Mills has a master’s degree in education, doctorates in clinical psychology and educational psychology, and a certification in neuropsychological assessment. She has life California credentials for teaching and counseling, and school psychologist and administrative services credentials. She belongs to the American Psychological Association, the National Academy of Neuropsychology, and other professional organizations and is licensed both as a psychologist and an educational psychologist. Dr. Mills taught for about 15 years at the elementary and middle school level, and supervised student teachers. She worked as a school psychologist at San Francisco Unified School District (SFUSD) and for several years was the head of school psychologists in that district. In that role she supervised 42 school psychologists, consulting with them on assessments, the interpretation of data and special education eligibility. 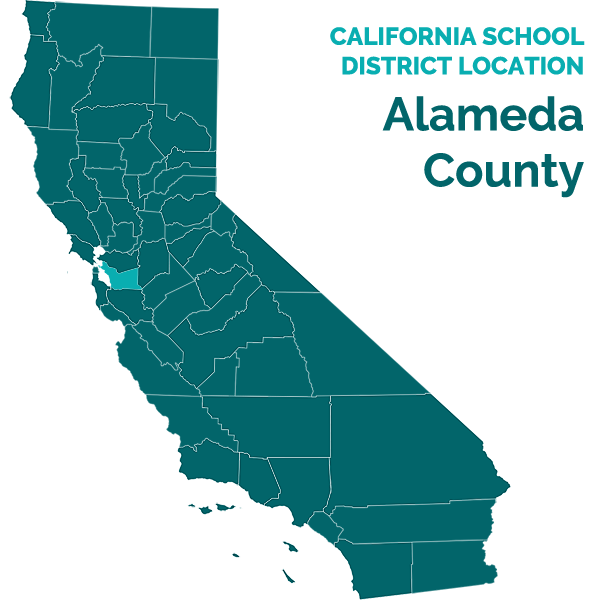 When she neared retirement she was appointed the interim director of SFUSD’s special education department for six months while a permanent director was sought. She has administered about 5,000 assessments and consulted on well over 10,000 assessments. She is now a psychologist and educational consultant in private practice, working with school districts and parents. She has testified in due process hearings for both students and districts. 15 Ms. Tilley received a diploma in teaching from the New Zealand Department of Education in 1976 and a bachelor’s degree in applied science (speech pathology) from the South Australian College of Advanced Education in 1978. She has worked as a speech language pathologist in various California schools and institutions since 1987 and before that in similar roles in New Zealand starting in 1975. Ms. Tilley has published and lectured widely in her field and has been licensed by California as a speech and language pathologist since 1991. At present she is a consultant speech pathologist for the Speech Pathology Group, which by contract provides speech and language services to the District. Ms. Tilley has done over 400 speech and language assessments for the District. and school districts. Much of her work is reviewing the work of other speech and language pathologists. 16. In fall 2010, Civicorps’ new principal, Dr. Desiree Braganza, revised the school’s grading standards because they were too subjective and not sufficiently tied to state standards.8 The new system retained the range of one to five, but defined the meaning of the grades differently. Using the new grading system, Student’s fourth grade teacher, Ms. Charlotte Vaughns, rated Student much lower than his third grade teacher had. Student received a “1” grade in every language arts category and a “2” grade in almost all math categories that were graded. Only four of Student’s grades in the 13 language and writing arts categories rose to a “2” by the spring; nine of his 25 math category grades rose to a “3” by the spring.9 Ms. Vaughns concluded that Student worked hard and expended a great deal of effort, but “his skills lag far behind his grade level which is making it much more difficult for him to progress.” She determined that “[h]e is in need of extra support.” Ms. Vaughns did not testify. 17. In his fifth grade year, Student was taught language arts by Jennifer Rikkers10 and math and science by Abdul-Haqq Khalifah.11 Student received a mix of “2,” “3” and “4” grades in the language and writing arts categories; “3” was the most frequent. He received a mix of “2” and “3” grades in math and science. His spring trimester grades indicated progress in only a few areas. However, his grades in general were substantially higher than they had been in fourth grade. Both teachers concluded that student worked very hard and was a model citizen but his grades did not reflect his effort. Both teachers expressed concern to one or more District administrators that Student’s academic performance, particularly in reading and related subjects, was both unsatisfactory and below his abilities. Constance Moore, who is Student’s Aunt, and was also his art teacher at Civicorps,12 noticed in her art class that Student worked hard but read poorly, and repeatedly expressed her concerns about his low academic performance to at least one administrator. 18. At hearing the parties vigorously disputed the meaning of Student’s grades during his fifth grade year under the new grading system. District witnesses asserted they showed that he was approaching grade level competence. Mr. Khalifa, Ms. Rikkers, Aunt and Grandmother viewed Student’s grades as showing he was quite far short of grade level in many subjects. It is not necessary to resolve that controversy. Two things about Student’s grades were clear. First, he was working in reading and the related areas of writing and spelling quite significantly below grade level. Second, his grades were quite variable. Student’s grades were much lower in the fourth grade than in the third, and significantly improved in the fifth. 19. The parties also dispute the grade level of Student’s reading. District witnesses saw it as below grade level but improving; Student’s witnesses thought it was as low as late first or early second grade, and in any event too low. The evidence showed that Student’s perceived reading level varied significantly during his time at Civicorps. It was well below grade level, and by various accounts ranged from early second to fourth or fifth grade. 20. The evidence showed that the variation in Student’s grades was not characteristic of a student with a disability, particularly a processing disorder. John Rusk, the District’s compliance coordinator, testified persuasively and without contradiction that such variations in grades typically result from a partial failure to access the curriculum or to focus, whereas the grades of special education students typically show difficulties throughout their school experiences.13 Mr. Rusk pointed out that Student had 24 absences in his third grade year and 18 absences in his fourth grade year, and observed that such a high number of absences prevents access to the curriculum. 21. Dr. Pamela Mills testified for the District.14 Her testimony was detailed and logical, was based on a great deal of training and experience in assessing and evaluating students for special education, and was undamaged on cross-examination. Her testimony was credible throughout and is entitled to substantial weight here. 22. Dr. Mills reviewed Student’s educational records and assessments. She testified that a student with a processing disorder would not show such a variation in performance as is shown by Student’s grades. She explained that a student with an SLD has grades in the area of deficit, such as reading, that do not tend to go up more than a little bit. “It’s basically a flat line,” she testified. Students with an SLD typically make very slight or no progress, which is a hallmark of a learning disability. Dr. Mills was familiar with state-standards-based grading, and in her opinion a student with an SLD would “most probably” be performing at a level below basic (below a “3”) in his area of disability; that is, lower than most of Student’s grades in fifth grade. 23. Mr. Khalifa, Ms. Rikkers, and Aunt shared the assumption that Student’s grades in reading and related subjects were sufficiently below his ability that he must have a disorder of some kind. But they are general education teachers, and none of them claimed to have sufficient training to identify a disability. No expert trained in identifying disabilities, or any other witness, testified in contradiction to the interpretation of Student’s grades advanced by Dr. Mills and Mr. Rusk. 24. The parties dispute whether Grandmother and Student’s teachers specifically requested that Student be reassessed or his eligibility for special education reconsidered. Mr. Khalifa and Ms. Rikker testified that during Student’s fifth grade year they repeatedly told school administrators that Student should be further assessed for special education and determined eligible for it. Grandmother and Aunt, who had never agreed with the District’s 2009 decision that Student was not eligible, testified they made similar requests as early as Student’s fourth grade year. The record does not reveal that any of these requests were made in writing. 25. Dr. Braganza testified that at no time did Aunt or the two fifth grade teachers specifically request further assessment of Student for special education eligibility. Mr. Rusk testified that the District had never turned down a written or oral request to assess Student. This factual dispute need not be resolved here, because (as shown in Legal Conclusion 13) the District’s obligation to assess or reassess Student was not triggered by a request of a parent or teacher. 26. In fall 2011, during Student’s fifth grade year, the District decided to reconsider Student’s eligibility for special education. It decided it was not necessary to administer new psychoeducational and academic assessments, and chose instead to continue to rely on the assessments completed in late 2009. It also decided to conduct a speech and language assessment, which had not previously been done. 27. The 2009 psychoeducational assessment and academic assessment were 24 and 23 months old, respectively, when the District, in fall 2011, chose to continue to rely on them, and were an additional five months older when the IEP team last met in April 2012 and again decided Student was not eligible. Student presented no evidence that those assessments were no longer reliable for the purpose of determining the presence of a processing disorder by fall 2011 or April 2012. 28. Dr. Mills relied in part on the 2009 psychoeducational assessment to form her own opinion in 2013 that Student did not have an SLD. Her testimony established that the 2009 psychoeducational evaluation was still a reliable indicator of the presence or absence of an SLD in 2012. She testified persuasively that a child’s cognitive abilities typically stay the same throughout life, and a processing disorder normally appears when a child is young because that is when a child has to listen to the sounds of words. A processing disorder not apparent in third grade “could” appear in fifth grade, but that was rare, and when it happened it was usually the result of some external event such as exposure to lead paint, an auto accident, or head trauma. There was no evidence that Student had suffered such an external event. Student does not question the continuing accuracy of the 2009 academic assessment. 29. In fall 2011, Dr. Braganza became concerned that Student’s scores on the 2011 Standardized Testing and Reporting (STAR) tests (annual statewide tests of reading and math abilities) were below basic in both subjects. She reviewed his file and spoke to Lesley Tilley, Civicorps’s speech and language pathologist, about further assessment of Student.15 Dr. Braganza and Ms. Tilley agreed that Student was not performing as well on standardized testing as his classroom performance would suggest he could. They decided that the psychoeducational and academic assessments done in late 2009 were still valid for the purpose of determining whether Student had a disability addressed by those assessments, but that an additional assessment in speech and language should be administered in order to rule in or out the presence of a qualifying disability. They presented an assessment plan to Grandmother, who signed and returned it at some time during December 2011 or January 2012. 30. In February 2012, Ms. Tilley administered to Student the Clinical Evaluation of Language Fundamentals (Fourth Edition) (CELF-4), a standardized measure of receptive and expressive language skills. She administered all the tests required by the published instructions for the assessment, and some additional optional tests as well, in order to address concerns about his performance. Based on Student’s scores, Ms. Tilley concluded that Student “presents with solid expressive and receptive language skills within expected ranges for his grade, age and gender when compared to peers.” In her testing she did not find that Student had any difficulties in articulation, voice, fluency, hearing, or oral motor speech production. Ms. Tilley concluded in her assessment that Student did not have a speech and language disorder and did not need speech and language services. On April 3, 2012, at another IEP team meeting convened to consider the results of Ms. Tilley’s assessment, the District again decided that Student was not eligible for special education. 31. The evidence described above sets forth the information available to the District between February 2012 and August 2012, which is the period of time during which Student claims the District failed to assess him in all areas of disability. As discussed more fully in the Legal Conclusions, nothing in that evidence gave the District reason to reassess Student for a processing disorder or to assess Student in any area in which it had not already done so. 32. Student now contends that the disorder that should have been apparent to the District was an APD. As discussed above, the District’s 2009 assessments had not found that Student had any processing disorder; Student’s grades did not suggest such a disorder; and nothing else in Student’s records suggested the presence of an APD. Mr. Khalifa testified that at some time during his conversations with Dr. Braganza he stated he thought Student might have a processing disorder of some kind, but was not more specific, and agreed he did not know how to “diagnose” one. 33. Ms. Tilley is trained to detect APDs and is professionally competent to do so. While she had no specific reason to believe, in February 2012, that Student had an APD, she administered a number of subtests of the CELF-4 that in her opinion would have exposed such a disorder if it existed. For example, the concepts and following directions subtests implicate a child’s ability to listen to multi-step questions, understand what the tester is saying, and formulate the correct response. The subtests for recalling sentences, formulated sentences, and receptive word classes similarly taxed Student’s auditory processing. Those four subtests made up Student’s core language index score, which was above average. Student’s receptive language index score was made up of subtests entitled understanding paragraphs, receptive word class and semantic relationships, all of which would call on his auditory processing. His index score for receptive language was in the 47th percentile. In Ms. Tilley’s personal interactions with Student, he listened to her, understood what she said, and could translate that information into actions on the test. Ms. Tilley’s assessment revealed no APD and constituted substantial evidence that Student did not have one. 34. Pamela Macy, a speech and language pathologist, testified as an expert for the District.16 Her testimony was careful and consistent, based on considerable training and experience in assessing students for APD’s, and revealed no weakness on cross-examination. Her testimony was credible throughout and is entitled to substantial weight. 36. Ms. Macy reviewed Student’s records, and in particular, Ms. Tilley’s 2012 speech and language assessment. She established that the CELF-4 is an in-depth language measure that looks at all aspects of language. It allows for the diagnosis of APD’s and is appropriate for that use. Based on Ms. Macy’s testimony, it is found that Ms. Tilley’s assessment contained all the requirements for a competent assessment and was properly done. 37. Ms. Macy corroborated Ms. Tilley’s conclusion that the CELF-4 results did not indicate that Student had an APD or any other disability. Ms. Macy identified several of the subtests of the CELF-4 as measurements that called on Student’s auditory processing skills, and noted that he scored in the average range, and sometimes above average, in most of those measures. He could not have done that if he had an APD. A few of his scores in those areas were low, but in those instances he scored much higher on similar and related subtests that called on the same skills. Proper assessment requires seeing results as a whole, and not depending on single isolated scores. Evaluating Student’s scores as a whole, they do not indicate the presence of an APD. 38. Ms. Macy was familiar with the grading system used at Civicorps and reviewed Student’s fifth grade report card. She testified that if Student had an APD he could not have achieved the grades he got in areas that implicated auditory processing skills, such as listening and speaking. His grades in those areas show that he understood the curriculum, asked intelligent questions, and was an effective speaker. Speech, she observed, is one of Student’s strengths. The parts of the report card involving reading comprehension show nothing that would suggest an APD. Those grades show that Student was reading “within the instructional range” of fifth grade. 39. No witness testified that Student had an APD or disagreed with the conclusions of Ms. Tilley and Ms. Macy that he did not have an APD. By the time of the April 2012 IEP team meeting, no professional trained in determining the existence of an APD or any other disability had found or claimed that Student had a disability of any kind. No one had specifically mentioned a possible APD. Three assessments that would have revealed an APD did not reveal one. There was no evidence, by April 2012, that Student had an APD. 40. For sixth grade Student went to Realm and was the responsibility of BUSD. During that year, BUSD assessed him and, in December 2012, found him eligible for special education in the category of SLD due to an APD. Without objection from the District, Student offered in evidence three assessments conducted before Berkeley’s IEP team meeting and the IEP document itself. Although these documents did not exist when Student’s Oakland IEP team last met on April 3, 2012, the parties agree that they shed at least some retrospective light on Oakland’s decisional process. They do not agree on what that light is. 41. The record does not establish the complete basis for BUSD’s decision. All it contains are the four documents Student offered in evidence, so the following analysis is not intended to reflect on the correctness of BUSD’s decision. It is only intended to analyze whether anything in those four documents sheds substantial light on the earlier District decision. 42. Over a period of months in 2011 and 2012, Student was given a series of tests at the University of California (UC) at Berkeley by the Children’s Vision and Neuro-Optometry Binocular Vision Clinic (the Vision Clinic). The assessment was done primarily by two optometric interns under the supervision of Karen Chester, a licensed doctor of optometry. The Vision Clinic produced an extensive report on these tests on August 10, 2012, after Student had left the District’s schools. The report made several findings on Student’s vision and perceptual skills that are not relevant here, except that the assessors perceived that Student had some difficulty with the horizontal tracking of information with his eyes. It noted that during testing Student had difficulty staying motivated, appeared easily distracted, and did not want to finish some tasks. 17 There was no evidence that the assessors were aware of Ms. Tilley’s assessment or that another speech and language assessment was done. 44. Student did not call the authors of the Vision Clinic’s report as witnesses, or anyone else who could knowledgeably discuss it. The District’s two experts, Ms. Macy and Dr. Mills, analyzed it extensively and opined that, in the area of auditory processing, the report was invalid and unreliable for the reasons that follow. 45. Both Ms. Macy and Dr. Mills observed that optometrists are not trained or licensed to determine the existence of an APD. Dr. Mills testified that by law, auditory processing may be assessed by licensed psychologists (such as herself), school psychologists, speech and language pathologists (such as Ms. Macy) and audiologists, but not by optometrists. Ms. Macy observed that in her more than 30 years of experience she had never before seen an optometrist’s report that purported to measure auditory processing. 46. Ms. Macy described a number of serious errors in the Vision Clinic’s administration of the TAPS that, in her opinion, invalidated its results. The publisher of the TAPS does not recommend using the TAPS alone to diagnose an APD; it is only to be used as part of a battery of measures for that purpose. In the Vision Clinic’s report it was the only measure used to test auditory processing. 47. Ms. Macy also established that the Vision Clinic used the wrong version of the TAPS. Best practices require that a report state the version of the measure given, but the Vision Clinic’s report did not do that. From her long familiarity with the TAPS, Ms. Macy could tell that the Vision Clinic used a very old version, because it had only five subtests. That was typical of the earliest versions of the measure, written in the 1960’s. The current version is the TAPS-3, published in 2005, which has nine subtests. Ms. Macy testified that assessors in her field generally have one year to eliminate an old version of a test and then should use the new one, because the raw scores can change depending upon how the subtests are scored. 48. Ms. Macy also established that the Vision Clinic’s TAPS scores were wrongly reported. The report listed raw scores, but not the scaled scores from which conclusions are drawn. It also incorrectly described several percentile categories as below average when in fact they are average, and one as substantially below average when it is actually below average. 49. The Vision Clinic also administered Rosner’s Test of Auditory Analysis Skills (Rosner), a measure in the related field of phonological awareness. Ms. Macy established that the Rosner is a basic test of linguistic decoding and spelling skills with standardized scores that “max out” at the third grade. The Vision Clinic reported that Student received the maximum score on the Rosner. 50. Ms. Macy credibly testified that she found no test scores in the Vision Clinic’s report that demonstrated the presence of an APD. Based on her review of all Student’s assessments and grades, she believes that Student does not have an APD. Based on those records, Dr. Mills expressed the same opinion. No witness defended the Vision Clinic report, and no evidence was introduced to contradict the testimony of Ms. Macy and Dr. Mills about it. 51. Berkeley school psychologist, Vy Nguyen, assessed Student in late 2012 and produced a report dated December 5, 2012. Student had been referred to Mr. Nguyen to determine whether he was qualified for special education in either of the categories of SLD or Other Health Impaired (OHI). Mr. Nguyen observed Student, reviewed his records, and administered five standardized assessment measures. These were the Differential Abilities Scales – Second Edition (DAS-II); the Developmental Neuropsychological Assessment – Second Edition (NEPSY-II); the Developmental Test of Visual Motor Integration, Fifth Edition (VMI-5); the Behavior Assessment System for Children – Second Edition (BASC-2); and the Wechsler Individual Achievement Test – Second Edition (WIAT-II). 52. On the DAS-II, Mr. Nguyen found that Student’s General Conceptual Abilities score (GCA) was 92, which was similar to the GCA of 91 found in 2009 by Ms. Lau. On the VMI-5 all of Student’s scores were in the average range and his visual motor skills were age-appropriate. For the WIAT-II, Mr. Nguyen interviewed Student’s teacher at Realm, who did not mention any possible disorder but told him that “overall, [Student] has good reading comprehension . . .” The NEPSY-II tests perceptual processing across different learning domains, and Student’s verbal, nonverbal, spatial and general conceptual abilities scores were all in the average range, but his language score was lower. In the language domain, Mr. Nguyen found that Student had “challenges” described below. 53. On the BASC-2, which relies on questionnaires completed by a teacher, a parent and the student, the teacher scored Student as average in all 16 categories, and Grandmother scored him as average in 15 categories. Grandmother’s scores yielded an “at-risk” rating (the rating between average and clinically significant) only in attention problems. However, in Mr. Nguyen’s observations of Student in class, he had no difficulty with attention, and on the attention and executive functioning domain of the NEPSY-II, Mr. Nguyen found Student performed at expected levels. This led Mr. Nguyen to the conclusions that Student had “age-appropriate attention skills” and that Student was not eligible in the category of OHI. 54. In the summary of his report, Mr. Nguyen found Student was performing “in the average range to high average range on all standardized measures of thinking, reasoning, and problem solving as well as most measures of processing, with the exception of language.” In that area, he found Student to have “significant challenges” with understanding directions and phonological decoding, and “challenges” with understanding information that is presented orally, for which he needed repetition. 55. Mr. Nguyen concluded that Student met the eligibility requirements for SLD. He concluded in a single sentence that Student had “a discrepancy” between ability and achievement and “a processing deficit” in auditory processing. Those conclusions were not explained, and no reference was made in them to any specific measurement or test data. If he had reference to other information outside his own assessment, the record does not reveal what that information might have been. 56. Dr. Mills, who has reviewed thousands of psychoeducational assessments, testified that she did not agree with Mr. Nguyen’s SLD discrepancy finding, even based on his own data. She testified, and the scores in Mr. Nguyen’s assessment confirm, that none of Student’s scores revealed the required severe discrepancy between tested cognition and achievement. Although Student produced a few isolated low scores, these scores were contradicted in the relevant areas by his scores on other tests administered by Mr. Nguyen or tests administered by Ms. Lau. Student does not argue that any of Mr. Nguyen’s scores indicates a severe discrepancy within the meaning of the SLD eligibility requirements. 57. Dr. Mills concluded that Mr. Nguyen’s finding of “a discrepancy,” if it was intended to mean a severe discrepancy, was not supported by the test scores that he reported, and that his conclusion concerning auditory processing was inadequately documented. Dr. Mills established that the data reported in Mr. Nguyen’s assessment does not support his conclusion that Student is eligible in the category of SLD. Dr. Mills also concluded that many other indicators in Student’s file make a processing disorder unlikely; and that, based on all his records, he does not have a processing disorder. 58. No witness appeared to defend Mr. Nguyen’s psychological assessment, and Dr. Mills’ criticisms of it went unrefuted. Mr. Nguyen may have had other reasons for his conclusions, but they do not appear in this record. Student argued generally that his “deficits were later confirmed by the Berkeley IEP,” and correctly points out that the Berkeley decision may be based on other information not in the record here, but does not discuss the accuracy or completeness of the data in Mr. Nguyen’s psychological assessment. 59. In early December 2012, education specialist, Sheryll Holmes, completed an assessment of Student’s academic performance that was similar to the one completed by Mr. Miller in 2009. Among other things it reported, Student’s reading comprehension was in the 21st percentile and the average range. There is no indication in the IEP document that the team’s finding of the presence of an SLD depended upon Ms. Holmes’s report, except the reference “See WIAT III dated 12. 2012.” Nothing in Ms. Holmes’s WIAT II results indicated a severe discrepancy, and Student does not claim otherwise. Ms. Holmes concluded that Student “would benefit” from special education support. However, the basis for her conclusion is not in the record, and so is given no weight here. 60. On December 11, 2012, the Berkeley IEP team met to consider Student’s eligibility. According to the meeting notes, the team accepted Mr. Nguyen’s opinion that Student had a learning disability. On a printed form the team checked boxes indicating that Student had “a severe discrepancy between measures of intellectual ability” in the areas of reading comprehension, basic reading skills, and reading fluency. It did not specifically identify the information leading to those conclusions. 61. The Berkeley IEP document attached the reports from Mr. Nguyen, the Vision Clinic, and Ms. Holmes. The record does not reveal what other information the team may have considered in finding the existence of an SLD, except for the statement that “team discussed parent concerns . . . regarding auditory processing…” The team offered Student 60 minutes a week of resource support. Grandmother accepted the offer. 62. At some time during Student’s sixth grade year, Grandmother withdrew him from Realm and unilaterally placed him at Rascob, a non-public school. At a time before the 2013-2014 school year, that Student represents, and about a year after the Berkeley IEP offer, Rascob admitted Student after having administered an unspecified assessment to see if he was a good “fit” for the school. Rascob’s executive director, Edith Ben Ari, testified that on the Rascob admission instrument Student’s reading, decoding, sight words, and reading comprehension were about at a third grade level. Student contends that this assessment supports his contention that his reading was so poor he must have a disability of some kind. 63. The record contains nothing else about the Rascob assessment. Student did not introduce the assessment in evidence, so it is reasonable to infer that it would not support his case. Ms. Ari also testified that having an SLD was not a requirement for admission to Rascob, and that she did not know what Student’s disability was. The Rascob assessment, conducted well over a year after Student left the District’s schools, is therefore of no value in determining whether he had an SLD. 64. The evidence at hearing did not definitively explain why Student’s reading, writing and spelling are below grade level and below his performance in other areas. Mr. Miller, who was in the best position to know, persuasively attributed Student’s performance to a combination of factors: Student had a history of missing school, and was frequently absent on Fridays, one of the two days when Mr. Miller could work with him. He was not getting homework done on a consistent basis. He was not consistently exposed to the curriculum. Primarily, Mr. Miller testified, Student’s low average cognitive profile in combination with attendance and homework problems made it difficult for him to work at grade level. He does not believe Student has a learning disorder. 65. Student’s rate of homework completion has varied but was usually low. Grandmother admitted that Student’s failure to turn in homework was “an issue,” though she believes that Student did his homework at home but was frustrated by his inability to do it right and therefore did not turn it in. Aunt testified that he completed his homework “as best he can.” But the contemporaneous reports of Student’s teachers established convincingly that he frequently failed to complete or turn in his homework and that his academic skills suffered as a result. 67. For a student who has difficulty remembering lessons from day to day, homework completion is particularly important. Mr. Miller testified he could not say enough about how important it was for Student to complete his homework, because it reinforces lessons learned that day and that week. Mr. Rusk established Student’s absences from school, particularly in the fourth grade, also worsened his ability to access the curriculum, and observed that for Student to succeed, he must do his part and attend classes. 68. Student’s vision is mildly impaired and he needs to wear glasses at school to access the curriculum. At times he does not wear them. 69. The record contains unsubstantiated hearsay but no direct evidence about the conditions of Student’s home life, so no finding on that subject is made here. 70. The evidence described above shows that there are several factors that may contribute to Student’s low performance in reading and related areas such as writing and spelling, including lack of homework completion, frequent absences, and not wearing his glasses at school. None of these factors indicates the presence of a disability. 71. Mr. Rusk established that the District offers remedial instruction (“remediation”) to students who need it, even though they do not qualify for special education. This is referred to in the district as “RTI” (response to intervention) or “informal RTI” and is different from “formal” RTI, which is a process by which some districts (not Oakland) determine eligibility for special education. 72. Mr. Rusk and Mr. Miller established that there is a sharp difference in the district between remediation and special education. Remediation provides matter that a student misses or has already received. Special education is specialized instruction uniquely designed to provide a student with a disability access to the curriculum. The instruction Mr. Miller gave Student during his third, fourth, and fifth grade years was the District’s version of informal RTI and was remedial; it was not the sort of instruction provided for students with IEP’s. Mr. Miller likened students needing remediation and students needing IEP’s to apples and oranges, and stated that his remedial instruction of Student was directed principally to filling “holes” in his instruction, many of which were due to poor attendance. Sometimes the classroom teacher told Mr. Miller of particular assignments that Student had not completed, and he and Student would complete them. 73. In the fall of Student’s fourth and fifth grade years, Mr. Miller had so many students with IEP’s to assist that he could not practically extend remedial instruction to students without them. After the winter holidays, though, he was able to provide remedial assistance to Student and others, and Student’s grades for those years typically rose during the trimesters after the winter holidays. 74. Mr. Miller testified without contradiction that the remedial instruction he gave Student was successful, that Student enjoyed doing it, that together they were able to complete his assignments, and that Student made progress as a result of the intervention. He also testified that, with his help, Student was able to complete the class work he was assigned, and did not need special education intervention to do so. Mr. Miller’s testimony and Student’s report cards established that Student derived significant benefit from Mr. Miller’s remedial intervention, and that as a result of it he made progress and was able to complete grade level work. 75. Ms. Rikkers, Grandmother, and Aunt expressed the opinion that Mr. Miller’s interventions were insufficient because they were irregular, and that Mr. Miller was not always present to provide them. They agreed that Student’s report cards did show progress, but all three thought the progress was “not enough.” Their views that Mr. Miller was irregular in providing service appeared to be based on incomplete information. Since Ms. Rikkers left Civicorps either shortly before or shortly after the winter holidays of Student’s fifth grade year, she was in no position to know when or how often Mr. Miller met Student after those holidays. Ms. Rikkers did not claim to know how often Mr. Miller provided “push-in” (in class) services as well as “pull-out” (out of class) services in Mr. Khalifa’s class. Aunt was unaware that Mr. Miller provided push-in services at all, and explained that those services would not have been provided in her art class. Grandmother did not claim to have personal knowledge of events at school or of Mr. Miller’s presence or absence. Mr. Miller and Dr. Braganza both credibly testified that Mr. Miller regularly and consistently worked at Civicorps on Wednesdays and Fridays, and that he missed many sessions with Student because of Student’s absences, not his own. The weight of evidence showed that Mr. Miller regularly offered remedial instruction but Student frequently did not appear for it. 76. Other than suggesting that Mr. Miller appeared at school only irregularly, Student produced no evidence concerning whether Student’s deficits could be adequately addressed by means short of special education. No witness testified that the District’s non-special-education remedial programs would not adequately address Student’s academic difficulties. 18 Unless otherwise indicated, the legal citations in this Introduction are incorporated by reference into the analysis of each issue decided below. 19 All references to the Code of Federal Regulations are to the 2006 version unless otherwise stated. The discrepancy shall not be primarily the result of limited school experience or poor school attendance. When standardized tests are considered to be valid for a specific pupil, a severe discrepancy is demonstrated by: first, converting into common standard scores, using a mean of 100 and standard deviation of 15, the achievement test score and the ability test score to be compared; second, computing the difference between these common standard scores; and third, comparing this computed difference to the standard criterion which is the product of 1.5 multiplied by the standard deviation of the distribution of computed differences of pupils taking these achievement and ability tests. A computed difference which equals or exceeds this standard criterion, adjusted by one standard error of measurement, the adjustment not to exceed 4 common standard score points, indicates a severe discrepancy when such discrepancy is corroborated by other assessment data which may include other tests, scales, instruments, observations and work samples, as appropriate. If the standardized tests do not reveal a severe discrepancy as defined in subparagraphs (a) or (b) above, the IEP team may find that a severe discrepancy does exist, provided that the team documents in a written report that the severe discrepancy between ability and achievement exists as a result of a disorder in one or more of the basic psychological processes. The report shall include a statement of the area, the degree, and the basis and method used in determining the discrepancy. The report shall contain information considered by the team which shall include, but not be limited to: (1) data obtained from standardized assessment instruments; (2) information provided by the parent; (3) information provided by the pupil’s present teacher; (4) evidence of the pupil’s performance in the regular and/or special education classroom obtained from observations, work samples, and group test scores; (5) consideration of the pupil’s age, particularly for young children; and (6) any additional relevant information. 12. The Ninth Circuit has held that a district’s decisions in writing an IEP cannot be judged exclusively in hindsight, as an IEP is a snapshot, not a retrospective. (Adams v. State of Oregon (9th Cir. 1999) 195 F.3d 1141, 1149.) “„In striving for appropriateness, an IEP must take into account what was, and was not, objectively reasonable when the snapshot was taken, that is, at the time the IEP was drafted.‟” (Id., quoting Fuhrmann v. East Hanover Bd. of Educ., (3d Cir. 1993) 993 F.2d 1031, 1041 (internal citations omitted)].) However, after-acquired evidence may shed light on the objective reasonableness of a school district’s actions at the time the school district rendered its decision. (E.M. v. Pajaro Valley Unified School Dist. (9th Cir. 2011) 652 F.3d 999, 1004 [(citing Adams, supra, 195 F.3d at 1149).) Pajaro Valley involved a District court’s error in not receiving “additional evidence” under the statutory provision governing appeals to district courts. (20 U.S.C. § 1415(i)(2)(C)(ii).) That provision does not have an equivalent for an administrative hearing, so it is not clear how Pajaro Valley applies to a due process hearing. However, both parties here rely on after-acquired evidence, which was introduced without objection, so its relevance and weight are considered here. 13. Reassessment of a student already found eligible for special education must be conducted at least every three years, or more frequently if the local educational agency determines that conditions warrant reassessment, or if a reassessment is requested by the student’s teacher or parent. (20 U.S.C. § 1414(a)(2)(A); 34 C.F.R. § 300.303(a); Ed. Code § 56381, subd. (a)(1).) Student assumes that these requirements also apply to a student previously found ineligible, but they do not. The IDEA defines “child with a disability” as a child who has a qualifying disability and, by reason thereof, needs special education – in other words, a child who is eligible for special education. (20 U.S.C. § 1401(a)(3)(A)(ii); see also Ed. Code, § 56026, subd. (b) [definition of “individuals with exceptional needs”].) The purpose of the initial evaluation is “to determine if the child is a child with a disability.” (20 U.S.C. § 1414(a)(1)(B); 34 C.F.R. § 300.301(b).) If a child is determined not to be a child with a disability, he is not entitled to the protections of the reassessment provisions, which extend only to a child with a disability. (20 U.S.C. § 1414(a)(2)(A); 34 C.F.R. § 300.303(a); see also 34 C.F.R. § 300.8(a)(1), (2) [child needing a related service but not special education is not a child with a disability].) There is, therefore, no requirement that a child found not eligible for special education be reassessed either on request of a parent or teacher or because of the passage of time. A contrary rule would allow a parent of an ineligible child to request reassessments without limit. 14. However, it is the continuing duty of state and local educational agencies to ensure that all children with disabilities residing in the state and needing special education are “identified, located, and evaluated . . .” (20 U.S.C. § 1412(a)(3)(A); 34 C.F.R. § 300.111(a)(1)(i); Ed. Code, § 56301, subd. (a).) This is known as an agency’s “child find” duty.21 As part of that continuing duty a district may in appropriate circumstances be required to reassess a student previously found ineligible for special education. 22 This conclusion pertains only to the psychoeducational and academic assessments performed in 2009 in this case, in which a processing disorder is the only disability suspected and the evidence showed the assessments were still valid for determining the existence of that disability. No broader opinion is expressed here on the useful life of assessments. 15. In Issue Two, Student contends that the District failed to assess him in all areas of disability from February 2012 (when Ms. Tilley administered her speech and language assessment) to August 2012 (when Student became the responsibility of the BUSD). Student first argues that since his teachers all suspected he had a disability that needed to be assessed, that suspicion alone required assessment. That claim might have merit if Student had not been previously assessed and found ineligible, but that is not this case. If Student were correct, a district would have a constant duty to assess a student previously found ineligible, if any teacher disagreed and still suspected a disability. Since the only assessment Student claims the District failed to do is a psychoeducational assessment, which had already been completed in 2009, Student’s contention is more accurately described as a claim that the District failed to reassess Student rather than to assess him in the first instance. Not all legal doctrines applicable to the need for an initial assessment apply to these facts. 16. Student argues that the District was required to reassess Student because Grandmother and some of Student’s teachers requested reassessment. As set forth in Legal Conclusion 13, however, the District, once having assessed Student for eligibility and found him ineligible, had no obligation to reassess him simply due to the passage of time or on request of a parent or teacher. 18. No authority supports Student’s claim that, as a matter of law, the 2009 assessments had become unreliable for determining the presence of an SLD due to the passage of time. Student cites only Placentia-Yorba Linda Unified School Dist. v. Student ( 2012) Cal.Offc.Admin.Hrngs. Case No. 2012051153, in which OAH held that the statute of limitations permitted a district not to respond to a request for an independent educational assessment (IEE) because of disagreement with an assessment more than two years old. Student reasons that if a two-year-old assessment is too “stale” to be challenged through an IEE, in fairness it should not be used as an ongoing basis for determining eligibility, since a parent can no longer challenge the district’s assessment. That reasoning has no application here. The statute of limitations bars the grant of relief for actions taken more than two years before the complaint was filed. It does not bar criticism of assessments done before that time to the extent that their results governed Student’s eligibility during the two-year period. Moreover, Grandmother, at any time during the two years after the December 2009 IEP team meeting, could have challenged the assessment in a due process hearing or by requesting an IEE, or both, but did not. 19. Based on Factual Findings 15-23, and Legal Conclusions 4 and 21-22, Student’s grades during the period in issue did not give the District reason to reassess Student for a processing disorder. His grades in third grade, according to his teacher, showed “awesome” progress even though he frequently failed to turn in his homework. His academic grades fell substantially during the fourth grade, for reasons that are not fully explained in the record. Several factors may have contributed to his lower grades, including his low average cognitive ability combined with uneven homework completion. Student was also frequently absent, especially on Friday, one of the two days a week Mr. Miller could work with him. Other factors may have contributed, including Student’s intermittent failure to wear his glasses. Student did not discharge his burden of proving that his low grades resulted from a disability rather than from other causes. None of the known factors that apparently contributed to his low grades indicated the presence of a disability or should have caused the District to reconsider his eligibility. 20. Student’s grades dropped sharply in the fourth grade but substantially improved during his fifth grade year. This sharp variation in his grades from third to fifth grade, by itself, made the presence of a disability such as a processing disorder highly unlikely. The evidence showed that if Student had such a disorder, his grades would not have varied as they did. A student with a processing or similar disorder would typically achieve grades throughout his school experience that would be consistently low and would change only modestly over time. No professional contradicted this view. Student did not discharge his burden of proving that his grades throughout the three-year period in issue indicated the presence of a processing disorder or other disability. 23. The reports of Student’s teachers did not suggest the presence of a disability or give the District reason to reassess Student. Mr. Bartone, Student’s third grade teacher, praised Student for his “awesome” progress. Ms. Vaughns, his fourth grade teacher, reported a much less satisfactory academic performance and stated that he was in “need of extra support,” but did not mention special education or assessment. Since remedial support for students without IEP’s was common in the District and was already being provided to Student, that comment does not suggest that Student needed further assessment or should have been made eligible for special education. 24. Ms. Tilley’s speech and language assessment, completed in February 2012, did not find any disability. Ms. Tilley was adequately trained to identify a processing disorder, including auditory processing, if it appeared. She administered several subtests of the CELF-4 that would have revealed such a disorder but did not, and in her personal interaction with Student she did not perceive that he had a disability. Both Dr. Mills and Ms. Macy established that Ms. Tilley’s assessment was well done and reached the correct conclusion. No professional testified to the contrary. 25. For the above reasons, Student did not discharge his burden of proving that, between February and August 2012, the District failed to discharge its child find duties or failed to assess him in all areas of suspected disability. 26. Based on Factual Findings 32-39 and 64-70, and Legal Conclusions 4, 6, and 8-11, Student did not prove that at any time from May 2011 through April 3, 2012, the District should have found him eligible for special education. The only disability Student argues that he had during that period is an SLD due to an APD. There was no evidence of such a disability in the 2009 assessments. For the same reasons as stated above under Issue Two , neither Student’s grades nor the reports of his teachers indicated the presence of any disability, and both the level and the variety of his grades indicated the absence of such a disability. Ms. Tilley’s speech and language evaluation contained several subtests that would have found an APD if Student had one. 27. Based on Factual Findings 40-63 and Legal Conclusions 4 and 8-12, Student did not prove either that the Berkeley IEP documents placed in evidence or the Rascob admission test shed any significant light on the objective reasonableness of the District’s actions at the time it rendered its decisions. The Berkeley IEP decision was not only made eight months after the last District decision challenged here; it was made primarily on the basis of assessments and information that did not exist until after April 3, 2012, and on Student’s later experience, in Berkeley’s charter school. Those facts alone make the Berkeley data only marginally relevant to the District’s decisions. 28. In addition, the documents in the record concerning the Berkeley decision was based do not, by themselves, establish that Student had an SLD in April 2012. At least in the absence of supporting testimony, the Vision Clinic assessment was unpersuasive because the assessors were neither trained nor licensed to determine the presence of an APD and made several serious mistakes in the course of their assessment. 29. The Berkeley psychoeducational assessment concluded that Student had “a discrepancy” between ability and achievement and “a processing deficit” in auditory processing. The former conclusion does not support SLD eligibility, which requires a “severe discrepancy” as the law defines it, and nothing in the data reported by the assessor in his assessment report showed a severe discrepancy. The conclusion that Student had an APD is apparently not based on any testing for an auditory processing disorder reported by Mr. Nguyen himself, and may be based on the Vision Clinic report. At least in the absence of supporting testimony, the academic assessment likewise does not furnish a factual basis for eligibility. The IEP document does not cite any information on which the eligibility decision was based beyond the three attached assessments and a conversation with Grandmother that nothing in this record describes. There well may have been additional reasons for the Berkeley decision, and nothing herein is intended to suggest that Berkeley’s decision was invalid or incorrect. All that is decided here is that the four Berkeley documents in this record, by themselves and without further information or supporting testimony, would not have established the presence of an SLD even if the District could have known of the documents in April 2012. 30. Student argues that the testimony of Dr. Mills and Ms. Macy should be given little weight for two reasons. First, he points out that neither witness knew whether the Berkeley IEP team based its decision in part on other information not part of this record. Second, neither witness personally did everything required to determine eligibility, such as observing Student or talking to his teachers. But the decision made here that Student was not eligible for special education between May 2011 and April 2012 is made independently by the ALJ and does not rely on the opinions of Dr. Mills and Ms. Macy on the ultimate issue of eligibility. Their testimony is important for three other purposes: to address the validity of particular assessments (which Student concedes they may properly do); to illustrate what an informed and experienced special education professional would see, or not see, in Student’s files; and to illustrate that such professionals would rely, in part, on the 2009 assessments in forming their opinions in 2013. Their opinions therefore shed considerable light on whether the District should have seen that Student needed reassessment or that his previous assessments were correct or still adequate. 31. Nothing is known of the Rascob entrance test except that it showed Student reading at around the third grade level well more than a year after Student left the District’s schools. That does not demonstrate the existence of any disorder. 32. Based on Factual Findings 64-70 and Legal Conclusions 4 and 6, even if Student had a disorder during the time period at issue, he did not discharge his burden of showing that he needed special education to address it. Mr. Miller’s remedial instruction was successful when Student attended, allowed him to make progress, and provided him significant educational benefit. There was no evidence that Student’s deficits could not be addressed by means short of special education.